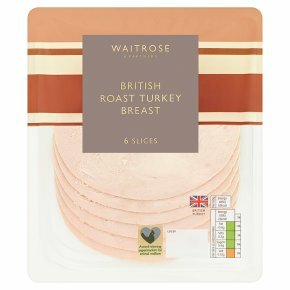 Tender and tasty, our British turkey breast is lightly seasoned and gently roasted for a succulent texture and delicate flavour. Prepared with 100g of turkey per 100g of product. Moisture is lost during cooking and roasting.